Sofia Coppola’s second outing, Lost in Translation, is either a great film or rubbish, and I’m not sure which way I’m leaning at the moment. Considering the lavish critical acclaim the film received I’m surprised at how odd it is. 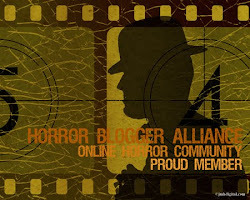 It’s not commercial or mainstream in any sense, but then again it doesn’t shape up like a quirky independent either. On the plus side, it’s very atmospheric and moody as Bob Harris (Bill Murray) and Charlotte (Scarlett Johansson) explore Tokyo together, along with their shared unhappiness in their respective relationships. The acting in natural from both leads and the action is always engaging and possesses an almost hypnotic quality. And essentially that’s it; Murray and Johansson just knock about in Japan in a similar way that the couple in Monsters interact with South America, but with much, much less direction and focus. And no homemade CGI aliens either, unfortunately. 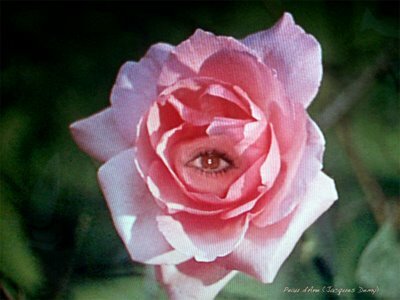 The main criticism is that nothing really happens in the film. The plot is wafer thin and the actors are so natural, it’s as if they’re not acting at all. More worrying is the argument that the whole of modern Japanese culture is depicted as something to sneer and laugh at. This is a tad unfair on Coppola as I’m sure she would argue that it is more the viewpoint of the characters that see Japan as a strange, unfathomable and humorous place, rather than a statement by the director. 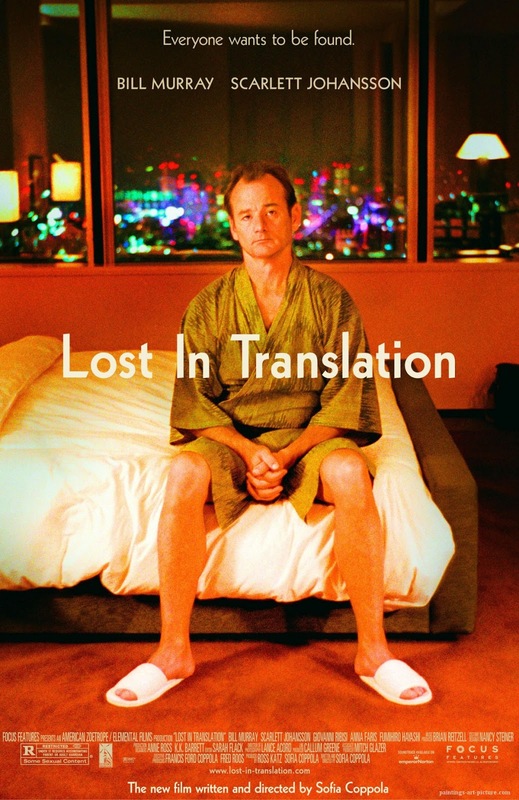 And essentially that’s it; Murray and Johansson knock about in Tokyo laughing and sneering at the Japanese. Usually the truth lies somewhere between the two extremes, but in this case it’s impossible to sit on the fence. It’s either good or rubbish. I’m inclined to go for the positive as I’d happily watch the film again. 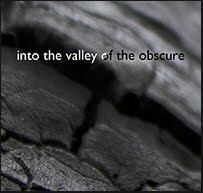 It’s gentle, moody and a little shallow, but for some intangible reason I really liked it. Definitely worth a watch, and then you can decide for yourself. Monsters, The Virgin Suicides, Vicky Cristina Barcelona. A problem that directors always face is how to show their actors' faces so that we can see them emote and generally act about a bit. It's odd then that Rosetta takes the complete opposite route. A lot of the film is spent looking at the back of the main character's head. Can this possibly work? Rosetta (the gorgeous Émilie Dequenne - looking not so gorgeous in this, her first film role) is a young girl who lives in a trailer park with her alcoholic mum (who just so happens to turn tricks for drink). To say that Rosetta is obsessed with finding a job is an understatement. She wants to join society and pay her own way rather than begging. 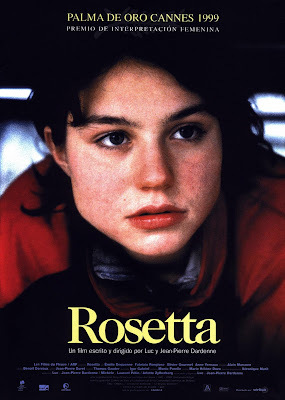 The story is completely centred on Rosetta as she goes about her daily routines and tries to find work. At any lengths. Émilie Dequenne is stunning in Rosetta. Her expression is generally one of determination. She only smiles once during the whole film (and that's only a half smile). That's why seeing the back of her head as she charges about works; you don't need to see her face because you know exactly what her expression will be. Despite this limited range, I identified with her for the majority of the film, and when I didn't I still felt empathy. 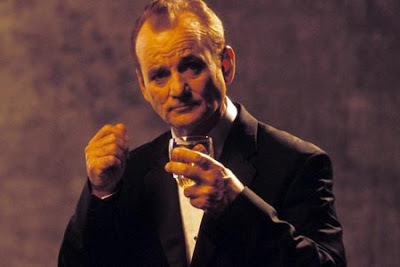 The payoff for this style of acting comes in the final shot. And it is stunningly well done. Dequenne is quickly becoming my favourite actress. Even though Rosetta looks fairly grumpy throughout (as she would, given her circumstances) there are moments of humour. She meets a friend Riquet (Fabrizio Rongione) who tries wooing her by playing her a tape of him playing an instrument. Badly. Shame too that it's the drums. Rosetta reacts in her usual fashion, doesn't raise a smile, and carries on eating. Irony also plays quite a strong part in a scene at the end. It made me chuckle despite (due to?) being on the black side of the humour spectrum. A side effect of focussing so intently on one character is something that I wasn't expecting: tension. 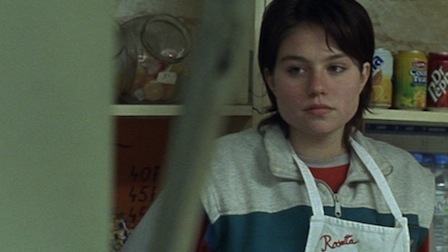 When Rosetta is serving from a waffle van, the camera stays focussed on her face; the reverse view is never shown. She sees something that she's not happy about, but the viewer only sees her expression. Eventually, the subject of her negative reaction is revealed. The tension isn't unbearable in any way shape or form but gives a subtle sense of unease. Quality directing. Initially, I thought it was going to be hard to sit through an hour and a half of shaky cam footage, yet I found the whole thing really enjoyable. Not the most exciting of films but very satisfying nonetheless. Worth watching for Dequenne's performance alone. The Kid with a bike, Silence of Lorna, The Pack. 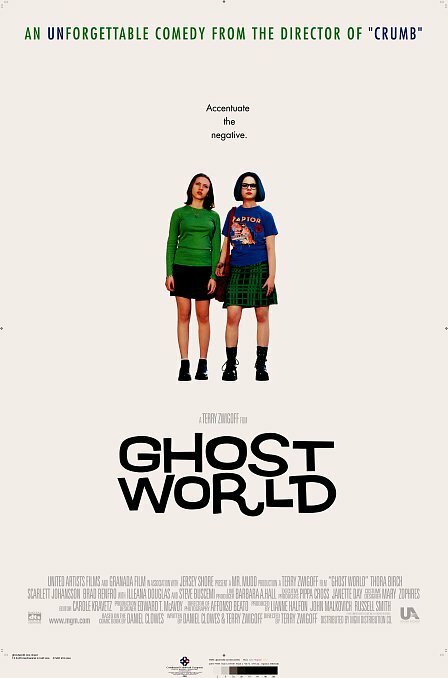 Based on Daniel Clowes' comic of the same name, Ghost World focuses on the lives of Enid and Rebecca, two high school graduates with a passion for irony, sarcasm and stalking. 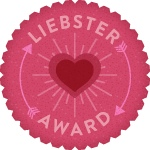 It’s a quirky tale about growing up, not fitting in, and the general absurdities of life and love. 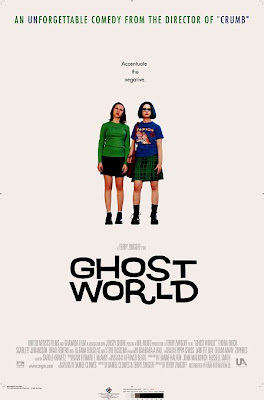 The film navigates a fine line on a variety of issues, but emerges unscathed as Ghost World is a joyous alternative view of reality with outstanding performances and a meaningful story. The two central characters are key to the film’s success with Thora Birch’s caustic yet sensitive Enid, proving a natural partner to Scarlett Johansson’s down to earth, but equally disillusioned Rebecca. The girls live in their own alternative reality, creating characters from the local oddballs they meet in suburbia, and both actresses perfectly capture the sense of naivety, mischief and disdain in their characters. Steve Buscemi is equally adept as the dorky Seymour, who the girls identify, stalk and ultimately befriend. He manages to be a desperate, middle-aged loner without ever becoming sleazy or lecherous, which takes some doing as the plot unfolds. The film is fleshed out with a range of colourful and interesting oddball cameos drawn from Clowes’ own experience in California, with the Devil worshippers and the guy with the nunchucks particularly enjoyable. The whole thing ultimately goes somewhere, but on the way tackles loneliness, age gap relationships, institutional racism and corporate exploitation. It somewhat feels like you’re on a knife edge and never sure where the film is leading, but that only makes the voyage so much more enjoyable. For a comic book conversion, it’s up there with Watchmen and Persepolis and never feels contrived or dumbed down from the original. 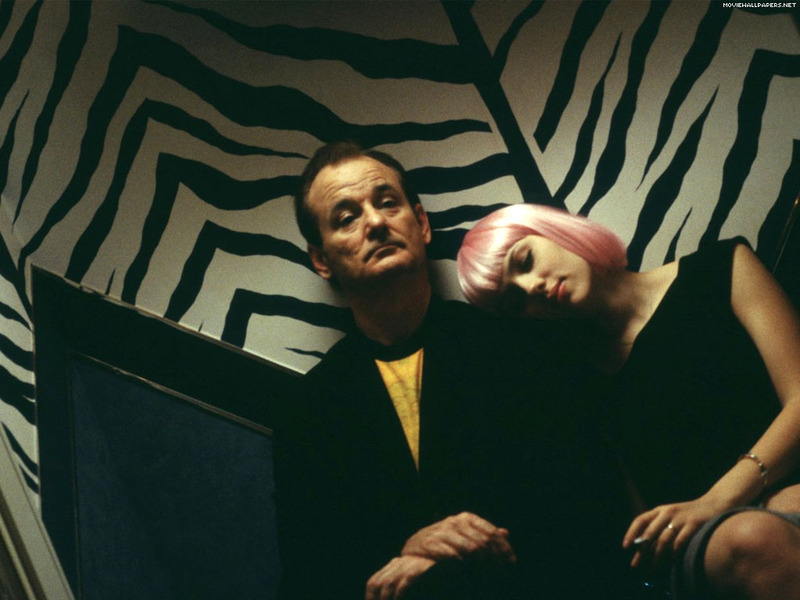 Perhaps the fact that Clowes wrote the screenplay kept his vision intact. 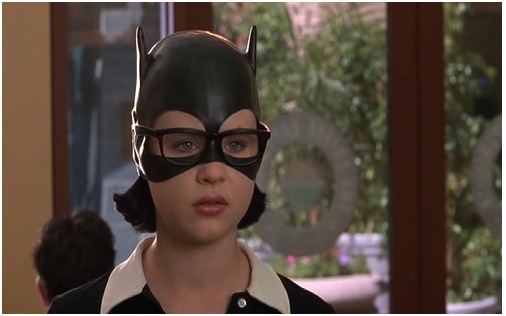 Ghost World was a real surprise in it’s watchability, universal appeal, quality acting and the sense of warmth that we feel for all the characters. I’m possibly the last person in the world to see it, but if you haven’t already I suggest you watch it, sharpish. 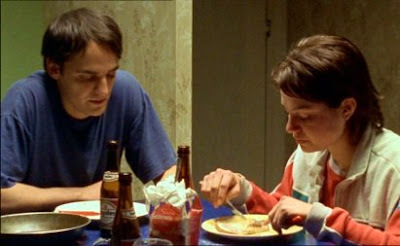 Juno, Lars and the Real Girl, Garden State. This is only my second Bentley Little book and I was dreading it. My first foray into the Bentley universe was 'The Vanishing'. This disturbing tale concerned naked men with strange patches of fur, running amok and butchering their families. And there was the involvement of children with deformed animal faces such as llamas, rhinos and pigeons (possibly not pigeons). 'The Disappearance' is a completely different jug of aquatic life. Gary and his girlfriend Joan - plus the rest of his chums - visit the Burning Man festival in Nevada. They all get drugged by persons unknown and Joan disappears... From that moment on, where the book is going is anyone's guess. 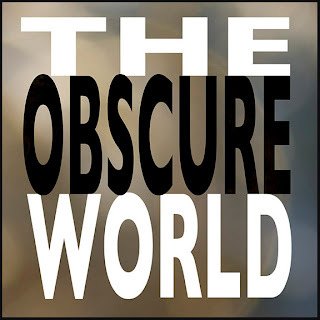 There is mention of some shady Outsiders. Mysterious prayer scrolls make an appearance and other people go missing too. Just what the Dickens is going on? 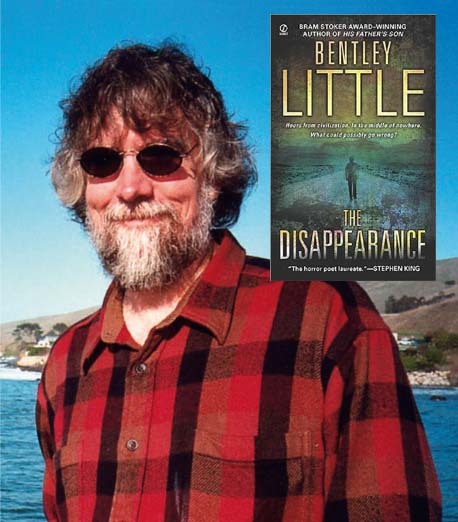 All is eventually revealed and unlike some books that have good starts and then fail to capitalise on their gains, 'The Disappearance' keeps you interested right up to the end. When I interviewed The Saw Lady back in April of this year she recommended Peau d'Ane (translation - Donkey Skin). My heart sank because it's a musical and as you may be aware of by now, I really don't like musicals. But I've watched it. Without any ranting. 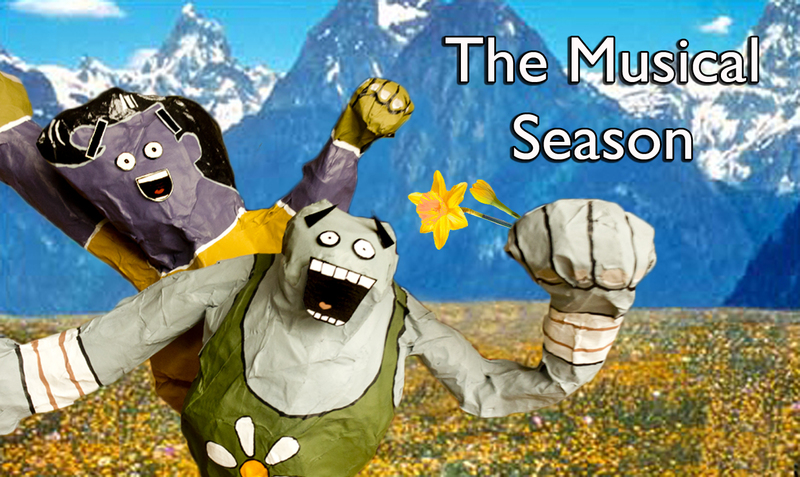 Possibly a first for a musical. It's pretty good. Yeah, you read that right. I actually like a musical. 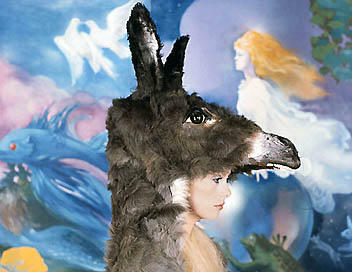 Peau d'Ane is a fairy tale, but not your average Disney version of a fairy tale. Originally written by Charles Perault in the 17th Century (The Brothers Grimm rewrote some of his stories) this is up there with Rumpelstiltskin as one of the most disturbing fairy tales. It contains a donkey that poops treasure and an activity that definitely wouldn't make it into the Disney version. I don't want to give any of the plot away but rest assured that Kings, Queens, Princesses, Princes and a Fairy all feature heavily. 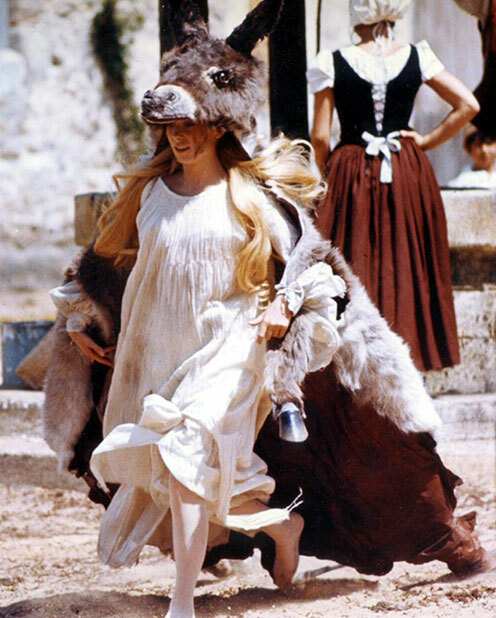 The Princess is played by Catherine Deneuve and is the subject of many males' attentions in the film. 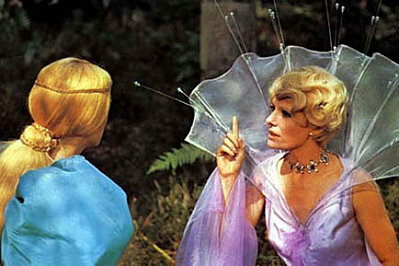 I think that the lads had got it all wrong and should have been going after the Fairy (Delphine Seyrig) instead. 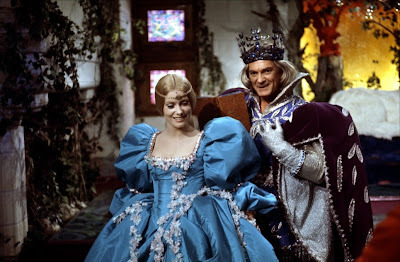 My one disappointment with the film is that the end of the story feels very similar to Cinderella (also written by Perault). Given that the start is an original breath of fresh air, this is a shame. Just when you think it's all going to end in a standard issue way though, a helicopter enters the fray. This is not the most bizarre occurrence as blue and red faced people (and horses) appear as well as a talking rose, and there is an old woman with some of the most wayward ginger hair that I've ever seen. 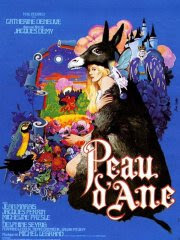 I was doubting that any of the musicals in the Musical Season would get a rating of 5 or above but I was pleasantly surprised by Peau D'Ane. So it's a big thank you to The Saw Lady for a quality recommendation. Fascination, Lola, Last Year At Marienbad.